There is good news this year from the countries aided by donations to Rain Forest Rescue, a unique program designed to help local residents restore damaged land and preserve areas that remain pristine. 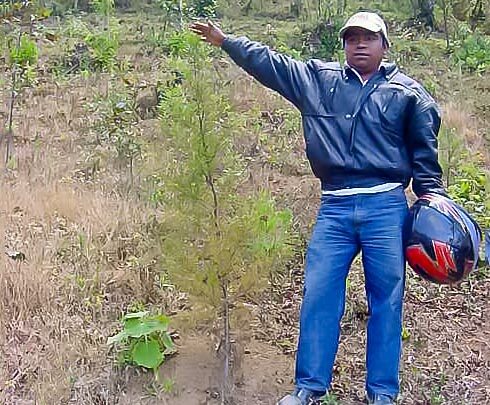 Projects in countries like Belize and Guatemala are providing the means for families and entire villages to stabilize hillsides once stripped of their lush foliage by logging and unsustainable agriculture. 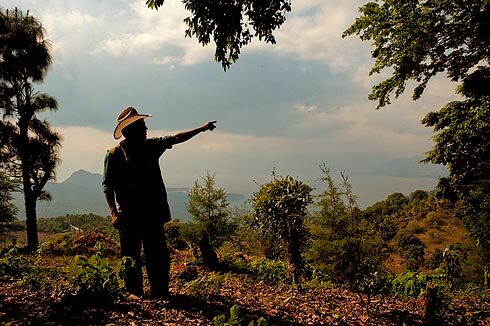 By introducing agricultural practices such as shade-grown coffee and scientific forestry, economic stability is made possible and pressure is relieved on remaining natural areas. Better methods of detecting illegal fires and forest clearing are also being introduced and the system of protected areas is being expanded. 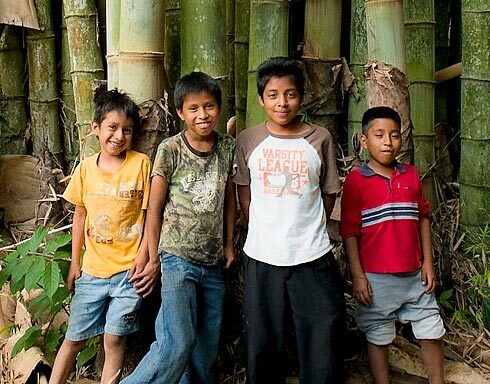 Preserving the remaining Maya Forest is a major goal of Rain Forest Rescue. This amazing 13-million acre forest is the largest intact acreage of tropical rain forest outside of the Amazon Basin. 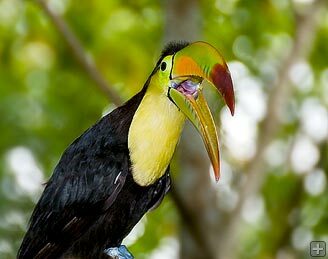 It is home to a Noah’s Ark of animals ranging from jaguars and the beautiful keel-billed toucan to a host of songbirds that summer in North America. Through projects now underway in cooperation with The Nature Conservancy and local organizations, the people of Belize and Guatemala are turning precious tropical rain forest land back into its natural, ancestral state. The tools being used are participant-involved planning, technical assistance, and help in establishing a stronger ranger force in nature preserves and protected areas. 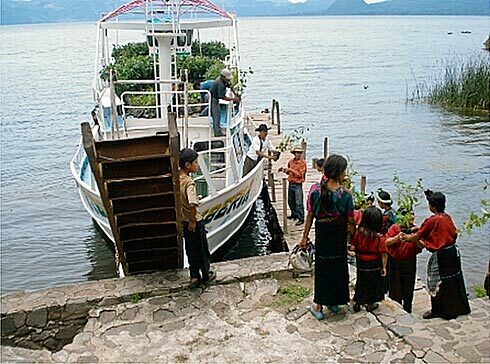 Few places on earth rival the Maya Forest and the ecological benefits it provides. This vast expanse of tropical forest is home to resident and migratory birds and top predators like the jaguar and harpy eagle. 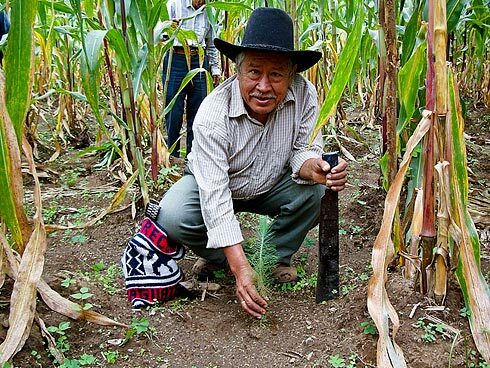 To local people, the land yields food, medicinal plants, material for homes and products to sell. It also is the key to hydrological processes that both store and provide water. And for all of us, the countless trees and other vegetation sequesters carbon, helping to reduce the impacts of climate change. To help protect this world class forest area while at the same time contributing to the health and financial security of its traditional residents, the Arbor Day Foundation in cooperation with The Nature Conservancy and local conservation organizations provided support to two landmark projects in 2010. 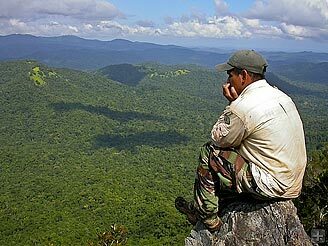 An unprecedented planning process was implemented to create a 600,000-acre, bi-national Maya Mountains Protected Area. This magnificent expanse of tropical forest requires the cooperation of Belize and Guatemala. It is becoming a reality thanks to a strategic plan called the Conservation Action Plan that was developed by involving a broad range of stakeholders—communities, organizations, government agencies, conservation-filled staff, private businesses and academics. The result is an exemplary model of integrated land management that maintains ecological integrity while preserving cultural heritage and a brighter tomorrow for future generations. The Rio Bravo Conservation and Management Area is a 260,000-acre protected area and the largest such expanse of pristine land in private ownership. The land is owned and managed by Programme for Belize, a local nonprofit organization, and held in trust for the people of Belize under the terms of a formal Memorandum of Agreement with the Government of Belize. The problem of funding ranger staff and protective management activities may be partially solved through an arrangement with six U.S. and Canadian utility companies. The companies are willing to invest in “carbon credits” to offset tons of their emissions if the forest is kept in a condition that allows its continued sequestering of carbon. Rain Forest Rescue funds are supporting a process to validate the sequestration under international standards. 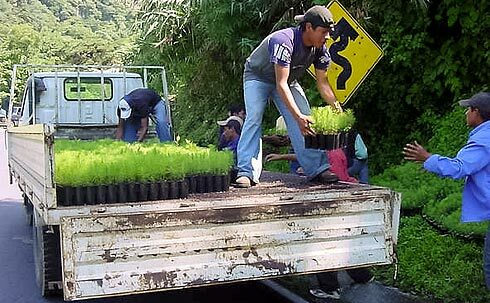 Rain Forest Rescue donations are helping Guatemala villagers and conservation organizations in their race against time to protect native forests from clearance for agriculture, roads and new developments. More than six-million acres of the Maya Forest is in Guatemala, serving not only as a refuge for rare species of wildlife, but also home to over 100 Mayan archaeological sites. This land is also of immense importance to its residents. Despite this importance, threats of forest destruction are ever-present. Rain Forest Rescue is helping conservationists create new protected areas, monitor forests and wildlife, improve fire management, and increase public and private support. 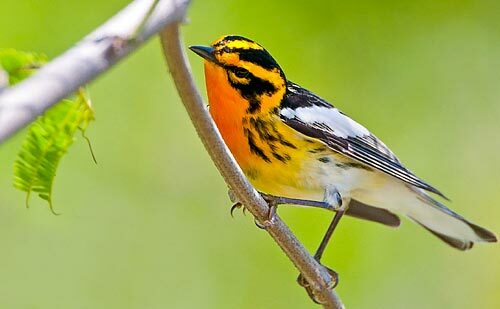 Forty-four monitoring stations were established in two national parks to monitor migratory birds and analyze their population status. A total of 198 migratory birds from 16 different species and 513 resident birds from 43 different species were captured, analyzed, tagged and released. The information will help assess the impacts of habitat management strategies and help guide future forest management decisions. Knowing where forest fires are being started and land is being cleared is an important step in counteracting these destructive practices. Now remote sensing technology is being used to identify and chart exact locations of these occurrences in the vast Maya Biosphere Reserve. It is an important step toward better protection and for gaining public and governmental support in the way of policies and action. Sierra de Lacandón National Park is 500,000 acres and protects some of the most important tracts of intact tropical forest in Guatemala. Rain Forest Rescue funds last year supported a multi-pronged conservation strategy to engage local communities in protecting the resources of this precious area. For example, a fund was established to provide micro-credit loans to local people seeking to start forest-friendly businesses. Additionally, a tree nursery was established and has already produced 4,600 plants and helped reforest 86 acres of cleared land. Local community members were also involved in fire management activities in the park with seven firefighting brigades established, trained and equipped. As part of community education, some 1,500 environmental education kits were delivered to local schools along with 25 sets of text books, 520 spelling books and four environmental encyclopedias. 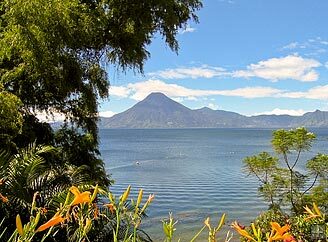 The Sierra Madre Highlands extend 236 miles along southwestern Guatemala. These impressive mountains and volcanoes form the pine-oak and cloud forests, home to rare species like the Horned Guan and resplendent quetzal. The steep slopes are also prone to landslides and floods when the protective forests are removed. To help stabilize de-forested slopes and prevent the recurrence of devastating landslides and flooding, an all-out effort is being made to reforest the land. In the past year, 150,000 plants were produced in two nurseries and 375 critical acres were planted by villagers. 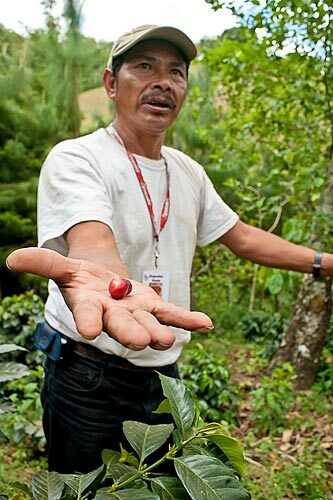 Shade-grown, organic certified coffee provides sustainable income for local residents without causing pollution from chemicals and the loss of forest canopy common with traditional coffee farms. The result has been the production of coffee that was ranked among the top 10 in a national tasting competition. Rain Forest Rescue donations have helped support local conservation organizations in developing a marketing plan for the coffee in an effort to encourage the use of the environmentally-friendly but more expensive practices. 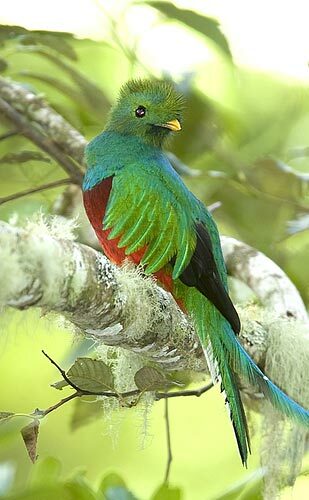 The backbone of the protected area system in the Sierra Madre Highlands consists of private and municipal reserves. Rain Forest Rescue, in cooperation with The Nature Conservancy and the local Private Natural Reserves Association is helping to expand these reserves and develop appropriate management plans for their sustainable use. A total of 70 private nature reserves have been established or are in the process of being legally declared. In addition, two new municipal parks were established last year and a council of representatives was formed to discuss common concerns and exchange ideas for more effective management. Technical assistance in the form of business plans, operation and accounting manuals and staffing guidelines was provided as two new municipal associations were created to manage their communities’ natural resources. The associations represent 14 communities and impact over 450,000 people. The goal is to implement sustainable development, increase land productivity, expand ecotourism and develop environment and risk management strategies. 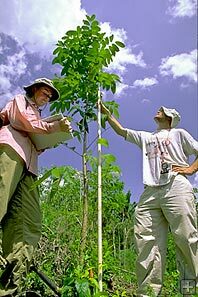 The overall goal is to improve the management of forests and protect freshwater resources. 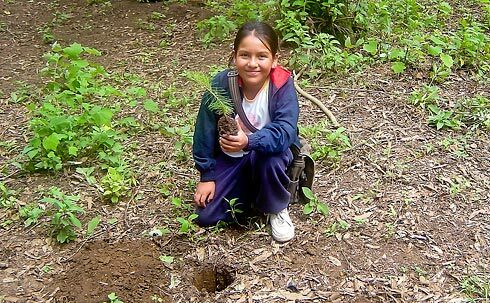 Restoring and protecting the land in this beautiful country is progressing one tree at a time as men, women and children are assisted, locally and internationally, with the help of Rain Forest Rescue donations.